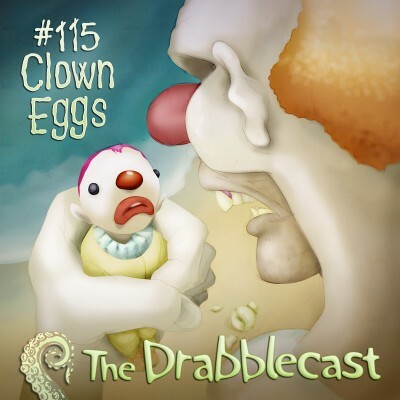 This week the Drabblecast presents “Clown Eggs” by Jay Lake. It is a story that introduces us to old “bull” clown Uncle Swarmy. It’s not just another day at the beach. You’ll learn more about the clown life cycle than you’re probably comfortable with! 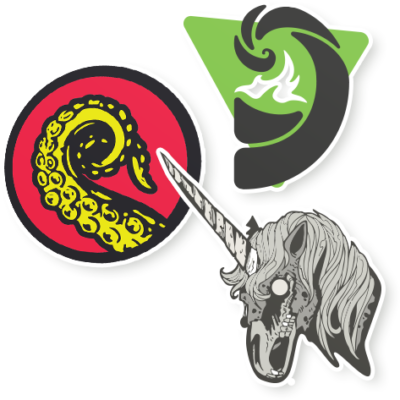 Our Drabble this week comes from J. Alan Pierce, “The Absurdly Connected Machine.” Does it tell the tale of an apocalyptic event, or a simple machine? Rigorous planning occupies a formless void. Then, with a Bang, dark energy expands outward, winding cosmic strings around galactic superclusters; splashing dust across spiraling sheets of stars. Structures are braided together by gravity, molecules spin and collide. The absurdly connected machine continues to whir, as bees dance, children starve, vestigial fins and wedding vows are forgotten, and a billion fireflies glow in a billion galaxies. Eventually, as the final sun dies and the last traces of energy are consumed, the deliberately over-engineered apparatus comes to a stop, causing a small, silver marble to be spit into an empty paper cup.